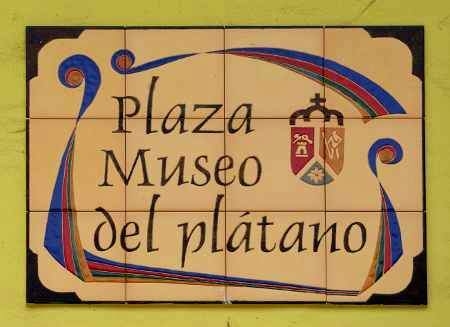 When I first heard there was a banana museum in Tazacorte, I laughed. 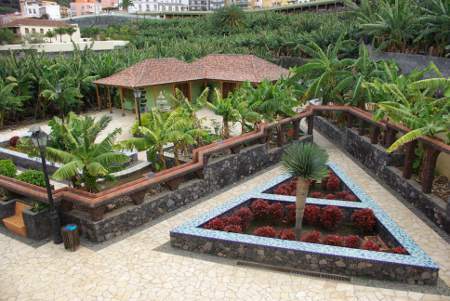 But since about 40% of La Palma’s population works works in the banana industry (growing, packing shipping etc.) it makes sense. Besides, bananas are the 4th most important crop in the world, (after rice, wheat and maize), and this is the only museum about European bananas in the world. 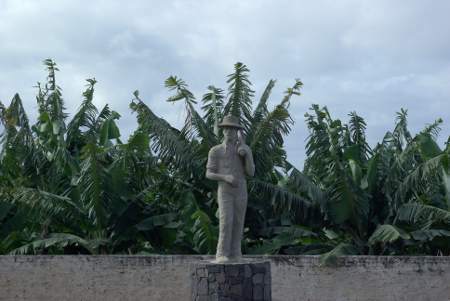 The museum contains lots of information panels in English and Spanish, all about thing like the origins and history of bananas, how they’re grown, their health benefits, and the geology and history of Tazacorte. 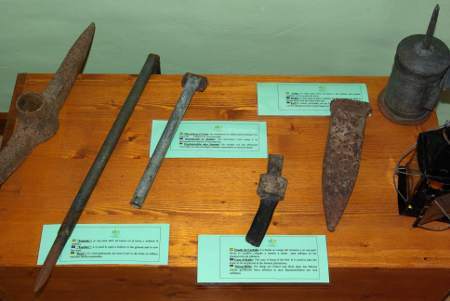 There’s also a good selection of tools used for growing bananas. To find the museum, first find the church then head downhill. The lane meanders through some lovely old houses, but if you follow your nose whenever there isn’t a sign, you’ll find it – the building’s yellowy-green. And you can’t beat the entrance price – it’s free. Beside the banana museum stands a mojo museum, almost ready to open. (Mojo is sort-of Canarian ketchup.) I gather the hold up is mostly paperwork, because they want to make mojo on the premises. That would make it far more interesting, of course, but the paperwork for anything to do with food is far more complicated.